Why choose fibreglass roofing from Murphy Builders Cork? 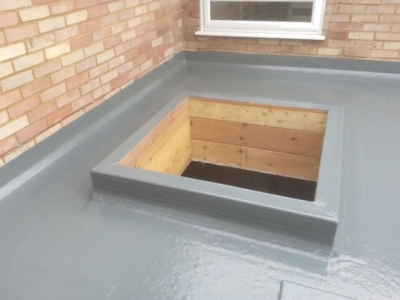 Fibreglass roofing systems or (GRP) Glass reinforced plastic is a very tough and hardwearing product, ideal for flat roofs, valleys, balconies, shower areas or wet rooms. Grp Fibreglass has been used in the building and roofing industry since 1938 and laboratory analysis tests have shown no deteriation or breakdown in the product unlike felt or rubber based coverings. Grp Fibreglass roofing adds an extra level of security due to its tough nature. 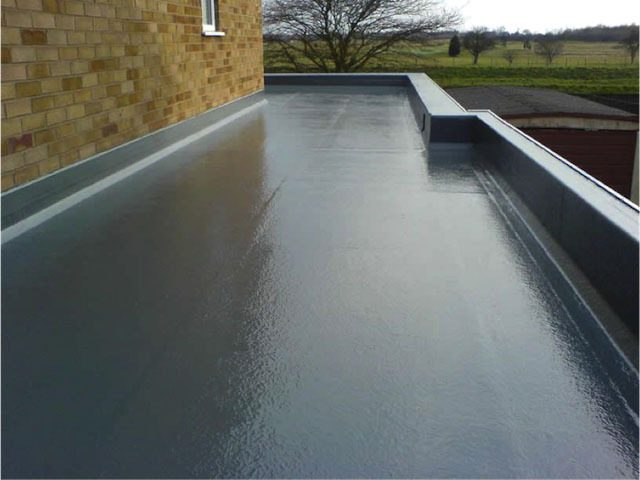 Grp Fibreglass is much more hard wearing and will have a life expectancy of 3 to 4 times that of traditional felt roof coverings. Your Grp Fibreglass roof protective system as well as being completely waterproof, is also coated with a UV Sunlight protective coating. Your roof will look good all year round and offer a protective shelter for your family and possessions. 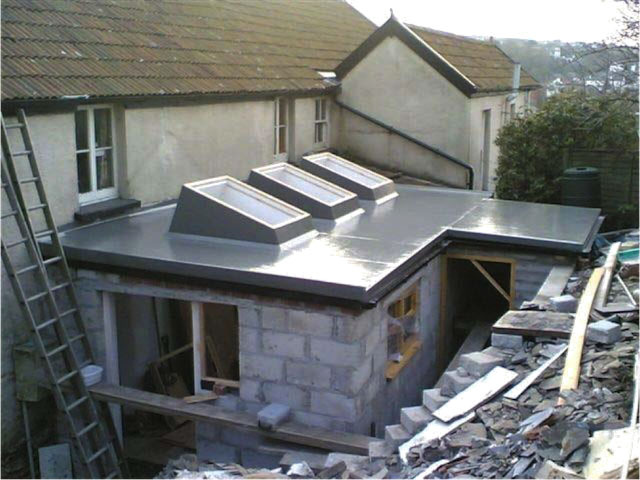 A fibreglass roof will contain no welds, no seams and no joints. A fibreglass roof provides a cost effective solution to your roofing issue. · The fibre glass roof can be installed and completed to your specifications.. · There is no need for maintenance. The roof can be walked upon. 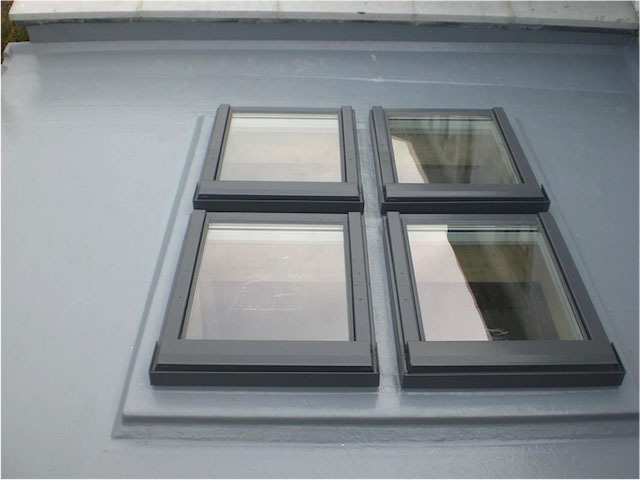 We provide an extensive range of colours for your roof. We have an extensive level of knowledge and experience working in this area. 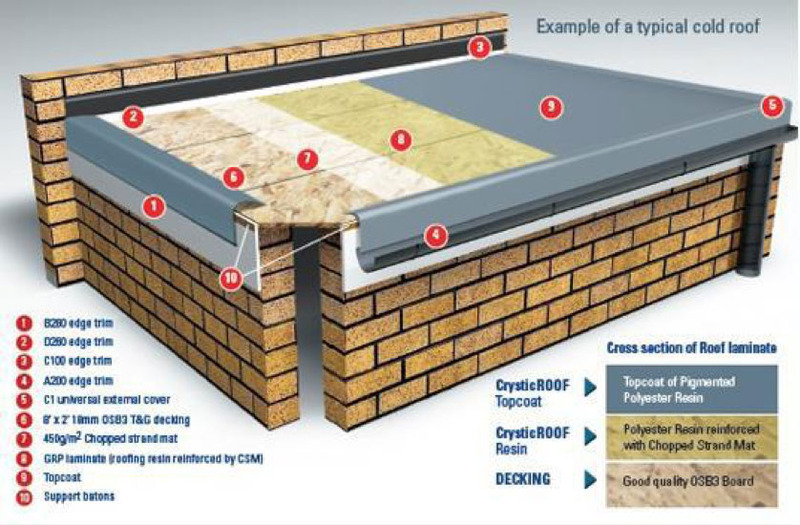 · Our roofs are 100% waterproof, UV resistant and have a lifetime expectancy you can rely on.